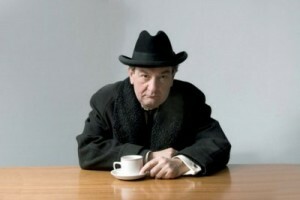 A one off drama starring Ken Stott as Hancock (Rebus) and Maxine Peake (Shameless), Hancock and Joan charts the affair between Hancock and his best friend’s wife, Joan Le Mesurier. Not long wedded to their current spouses, Joan and Tony embarked on a passionate love affair that lasted nearly two years. But Tony, despite his adoration for Joan, was plagued with depression and alcoholism, which proved to be a constant drain on their relationship. When Tony is offered a chance to revive his career with a new series in Australia, Joan gives him an ultimatum to give up alcohol and in return for her leaving John and marrying him. Agreeing Tony embarked to Australia. Unfortunately, the failure of his series and a misunderstanding about Joan’s loyalty for him prompted him to take his life. The programme is based on John Le Mesurier’s autobiography ‘Lady Don’t Fall Backwards’ and Edward Joffe’s ‘Hancock’s Last Stand’ and was filmed in the Le Mesurier’s home town of Ramsgate. Set in 1967, the challenge to find period locations for the piece were providentially solved. Both Ramsgate itself and it’s close neighbour Broadstairs provided some untouched gems such as Morellli’s cafe, one of the only remaining 50’s style cafes in Britain and the house that doubled as John and Joan’s family home. Vintage cars where bought in from around the county to dress the streets, which proved to be a task in itself as despite glorious November sunshine temperatures were brisk and the cars had to be well looked after due to their fragile nature. Broadstairs and Ramsgate are coastal towns in the Thanet District of Kent offering gorgeous beaches, historic towns and a harbour. Eastenders (2015), Edge of Heaven (2013) and True Love (2012) have all utilised the area for filming. Hancock and Joan was shown on BBC 4 at 9pm on 26th March 2008. This entry was posted in Filmed in Kent and tagged Broadstairs, Hancock and Joan film locations, Ken Stott, Maxine Peake, Ramsgate, TV Drama. Bookmark the permalink.